Get an extensive experience of Vietnam on an excellent full-day trip to the Mekong Delta by a cozy car. Enjoy riding a bike and cruising many canals of the delta. 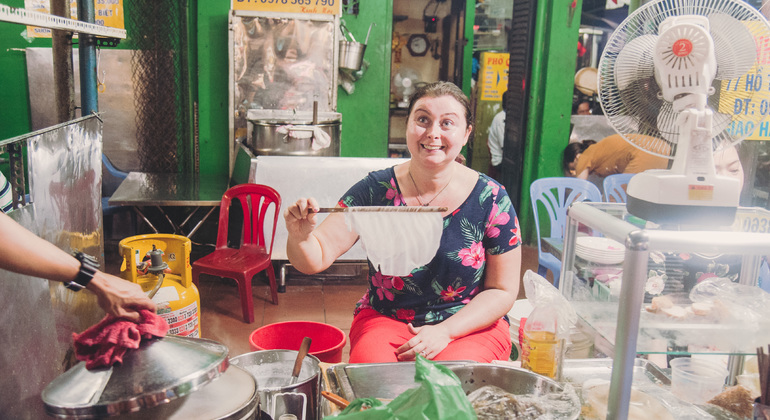 Discover and try the tasty food of Vietnam on this food tour through Ho Chi Minh where you will visit the most famous street food here you can find anything and everything. 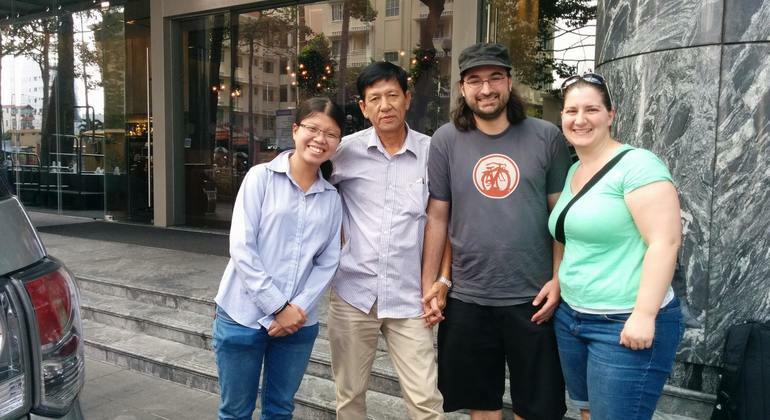 Take a lovely walking tour of authentic Saigon with us. We'll visit eminent highlights and the most impressive spots as local markets of this magical city. 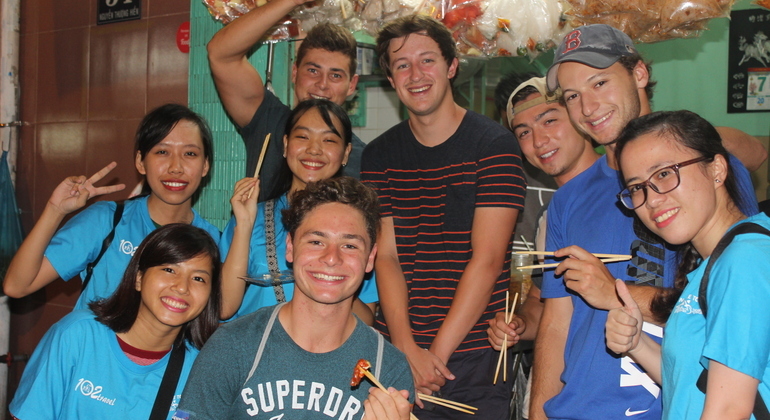 Experience Vietnamese traditional cuisine on our tasty tour. Take a walk around Chinatown area, Saigon, visit traditional restaurants, try new tastes and feel the country. Venture beyond the typical tourist attractions and go off the beaten path to really explore Saigon. 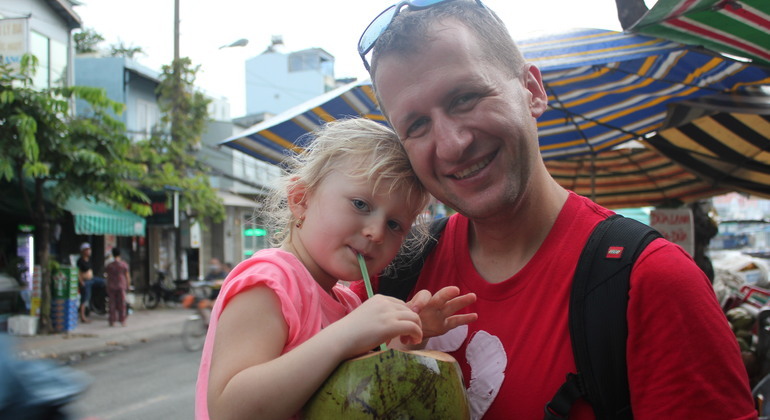 Live the real authentic Saigon experience with an amazing local guide. 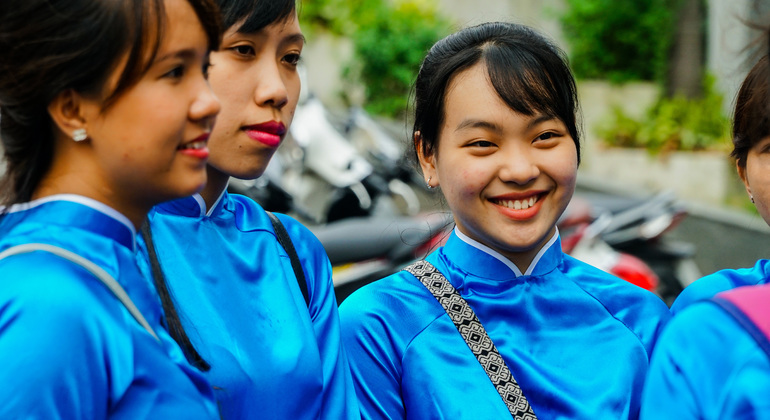 Discover Saigon in a different way, explore the best of the local culture and authentic food of Vietnam on the back of a bike. Enjoy the authentic Vietnamese street food. Enrich your travelling experience in the charming, colourful and bustling metropolis of Ho Chi Minh City with an amazing local guide who will show you all the must-see places. 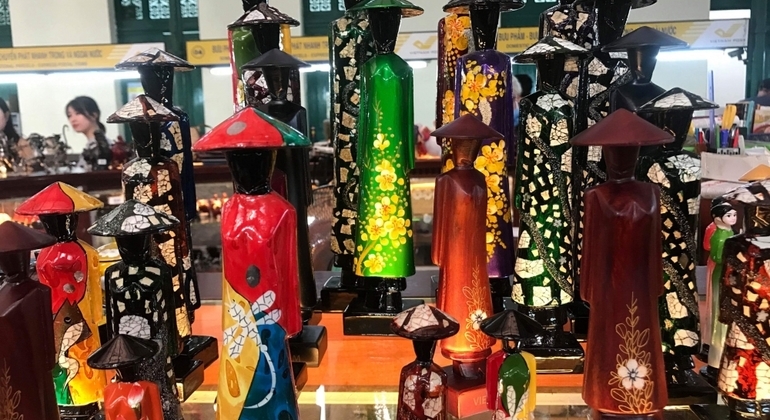 Spend an illuminating and interesting day out in picturesque Saigon city and discover the best places for shopping on this exciting private tour with our professional local guide. 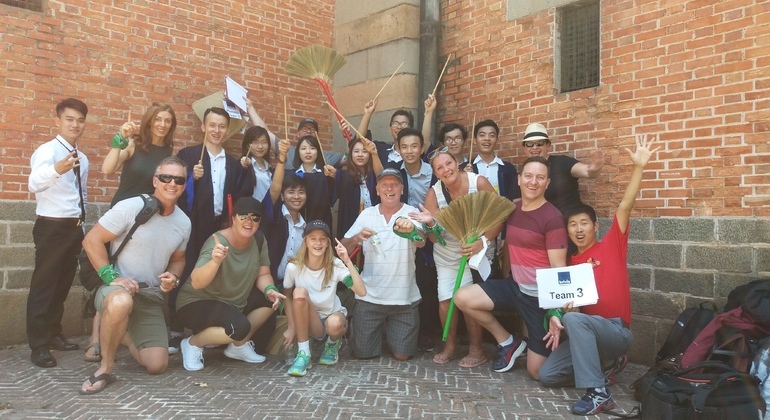 Be part of this extraordinary food tour by scooter, explore colourful food stalls and markets and taste local dishes and delicacies, accompanied by our expert guides. 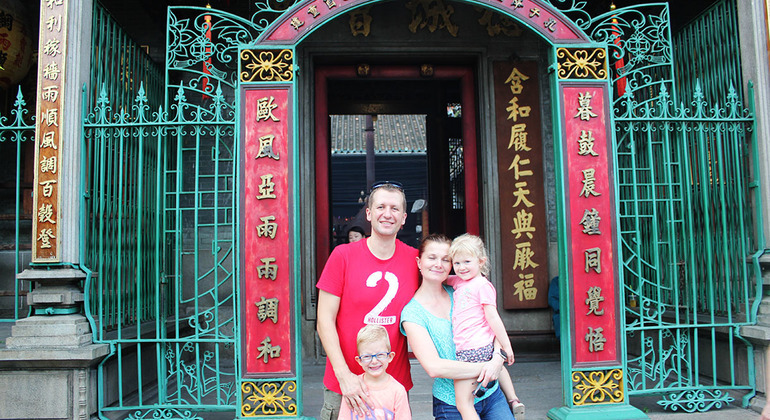 Whether this is the first time you have come to Saigon or been here for a short time and would like to explore it - this tour is made especially just for you. Go on a culinary voyage to Saigon by motorbike, enjoy the local cuisine, eat salty, sweet and sour, and fresh vegan delights with a friendly local expert guide. Start your morning by enjoying the perfect view of Saigon at sunrise. Drive through the gorgeous valleys, visit the floating market and taste local tropical fruits on this incredible tour. 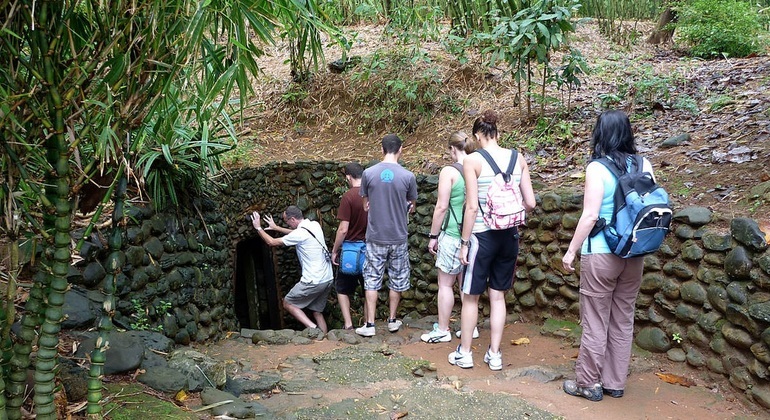 Learn Vietnamese history, try its wartime cuisine and have the most interesting tour of the Cu Chi Tunnels. You will even have a chance to shoot a AK-47. 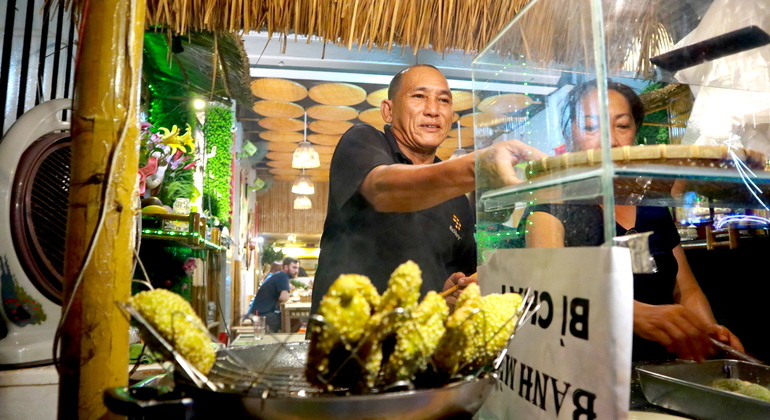 Hop on a scooter and go to the foodie paradise of Ho Chi Minh. 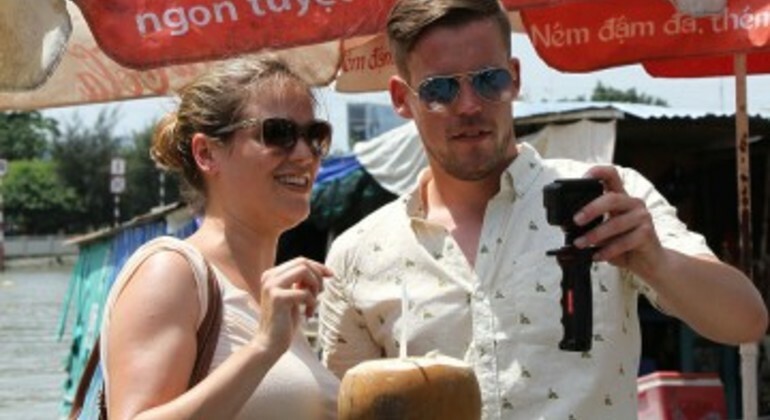 On this indulging tour, you'll taste local dishes and drinks learning facts about Vietnam and local life. 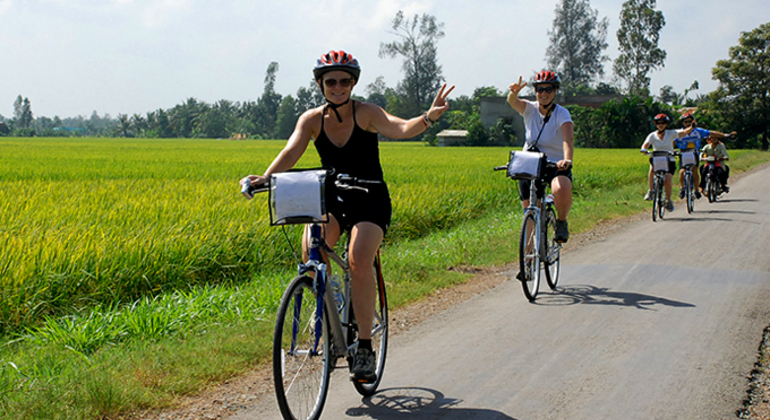 Enjoy an incredible bike tour through charming Saigon and discover the contrast between the old and the modern city. The richest area, fashion street, and Star Light bridge are waiting for you! 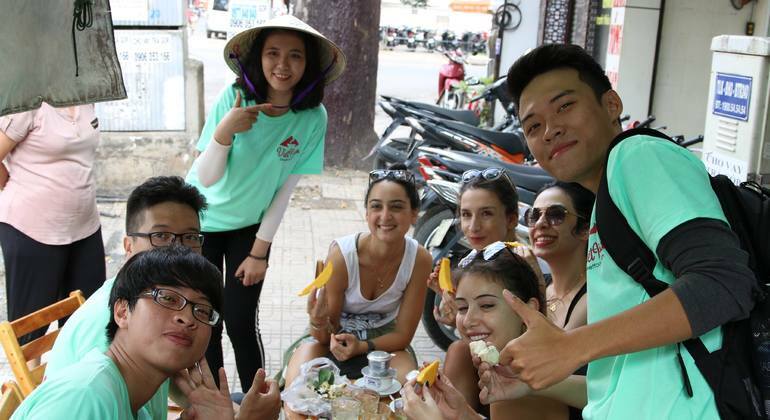 Join us on this unique adventure to explore the local areas of Ho Chi Minh. Get on the back of the scooter and feel like a local, be a part of the city! 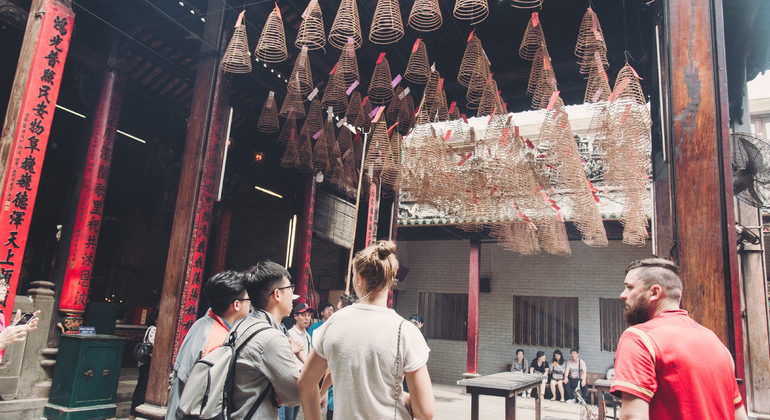 Experience a food tour where you could try traditional dishes of Vietnamese cuisine in 3 different restaurants, also visiting a market and the oldest building. 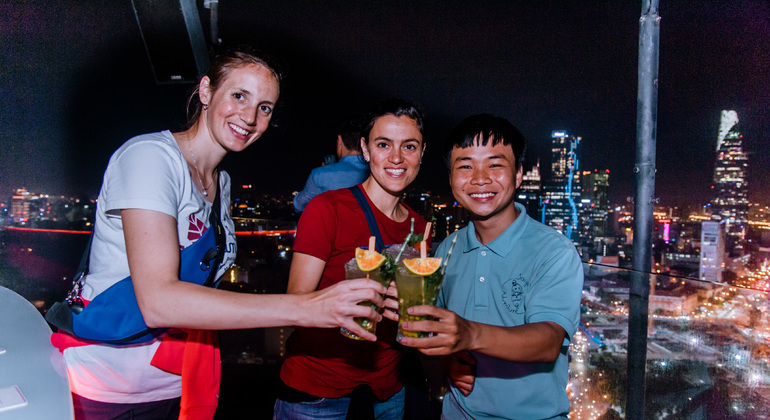 Explore Ho Chi Minh on this night scooter private tour, where we will take you to the most iconic places and must-see sights while you embrace the exciting local nightlife. Take a closer look at Vietnamese culture and everyday life during your full day boat and bike tour of the Mekong Delta. The local cuisine tasting is included. Spend several wonderful hours going around Saigon at night, and see the differences between its look at day and night, visit the gorgeous area and explore other sides of this special city. From French colonial architecture and glorious temples to grand boulevards and a grid of narrow alleyways, Ho Chi Minh is a culture vulture’s paradise and addiction the moment upon arrival. Vietnam’s former Saigon is a chaotic, urban space mixing the old and new. Accessible at any taste and budget, this commercial hub offers accommodation at 5-star hotels, hip guesthouses, and anything in between. After a long day of exploring Jade Emperor Pagoda, Notre Dame Cathedral, and War Remnants Museum, cool off and reflect in the beautiful Botanic Gardens. 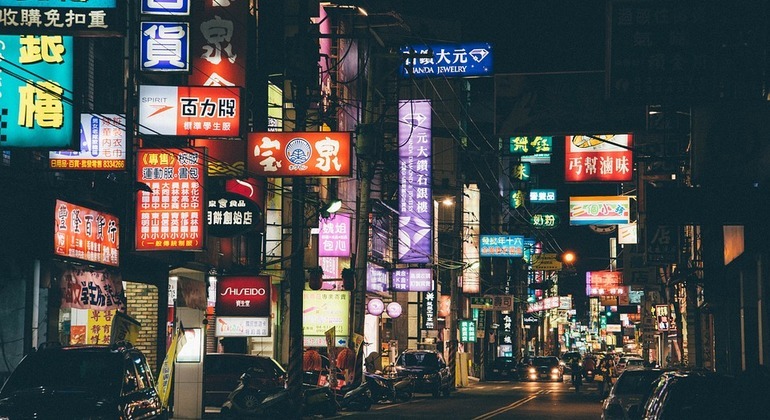 There’s still plenty of time to take advantage of the nightlife with live DJ’s, rock clubs, and music cafes to enjoying a walk along the Saigon River or hiring a motorbike for a ride through the frenzied streets of neon lights. Eat your way through a culinary affair and slurp pho on the street by day, sip cocktails on the rooftop of a skyscraper by night. Head to the Binh Tay Market and galleries and try your hand at bargaining for the best faux-designer products before getting your fix on local coffee to die for, or take a cooking class to master the exotic flavors of Southeast Asia. 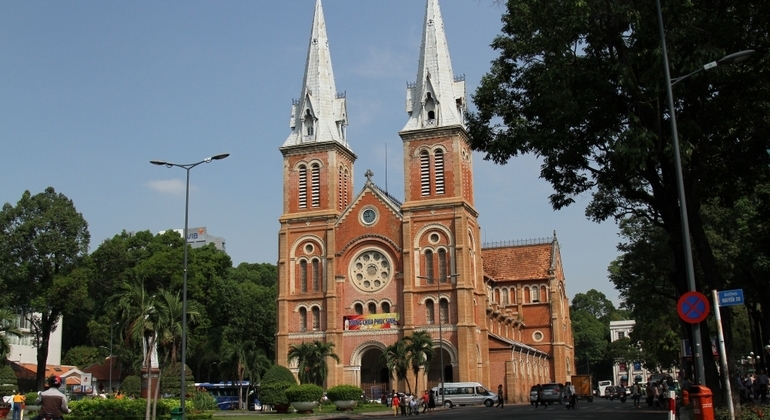 There’s never a dull moment in Ho Chi Minh, so take advantage of the great Chinatown Free Tour found on Freetour.com.